At a meeting in Texarkana, Jo Ann Duman, TUTA coordinator in Bowie and Cass Counties, displayed the Corporate American Flag, having the stars replaced with corporate logos, signifying the undue influence corporations have in our government. 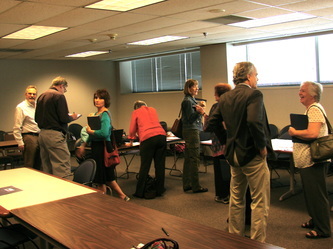 The meeting took place at the Texarkana Public Library. 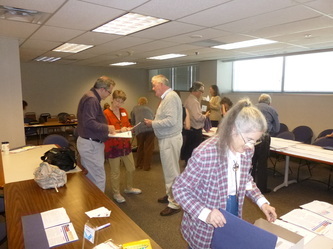 The group screened and discussed the short video " The Story of Citizens United," including efforts to amend the US Constitution to make clear that corporations are not persons and "we the people" have the right to enact laws to regulate corporations including limiting or outlawing their campaign contributions. Joanne Richards (Austin Organizer) and Rochelle Day (Caldwell County Organizer) spent the day at the MLK festival gathering signatures and talking with people about money in politics. elections of judges in Texas. TUTA representatives were invited to participate in this event. 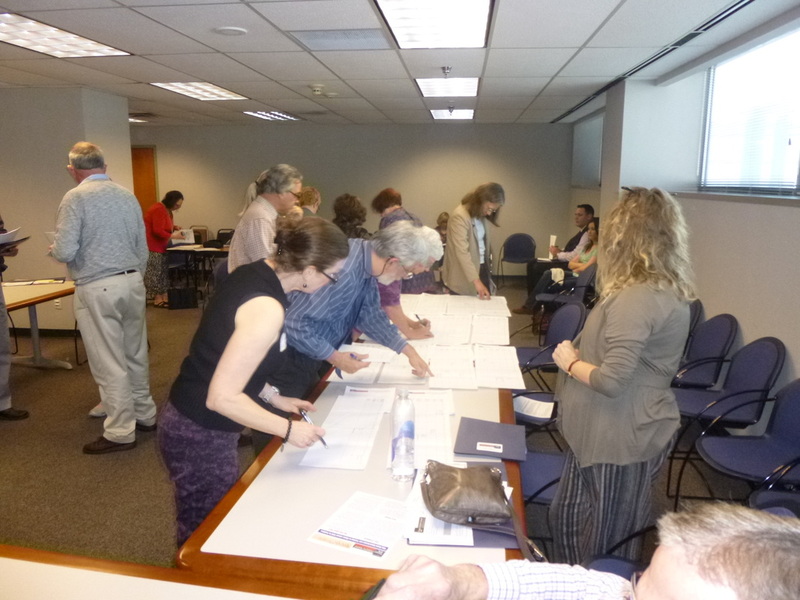 For more information, source documents, list of speakers and reviews by attendees click here. Dallas and as far away as Texarkana. 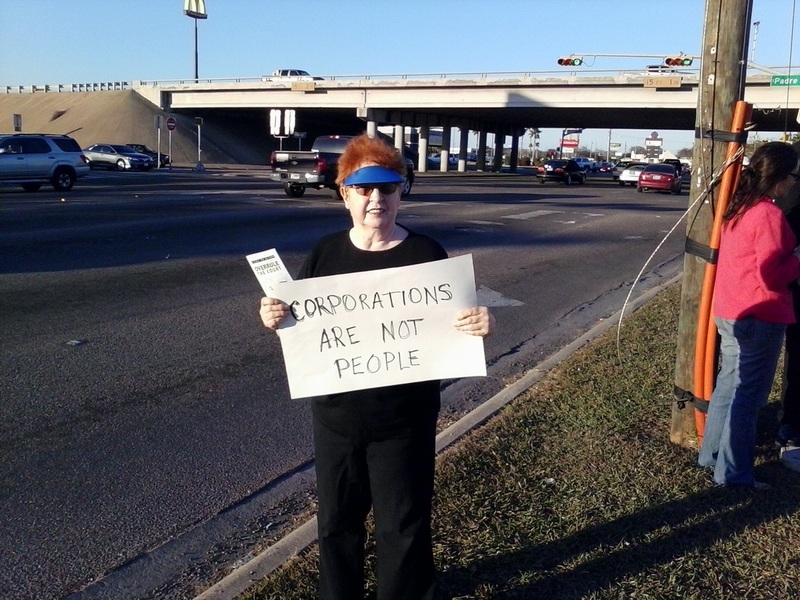 Rally at the Capitol for the third anniversary of Citizens United and to support Legislation in the Texas Legislature calling for an amendment to the US Constitution. Speakers from Public Citizen, Wolf Pac, NAACP, Occupy Austin, Sierra Club, Worker’s Defense Project, Teachers, Workers, Poets, Musicians, Spoken word artists and many more helped connect the dots between money in politics and issues that effect our lives. Daniel Llanes led the parade from the Public Citizen Office playing his flute and singing followed by his giant colorful puppets representing greedy corporations and politicians in bed together. 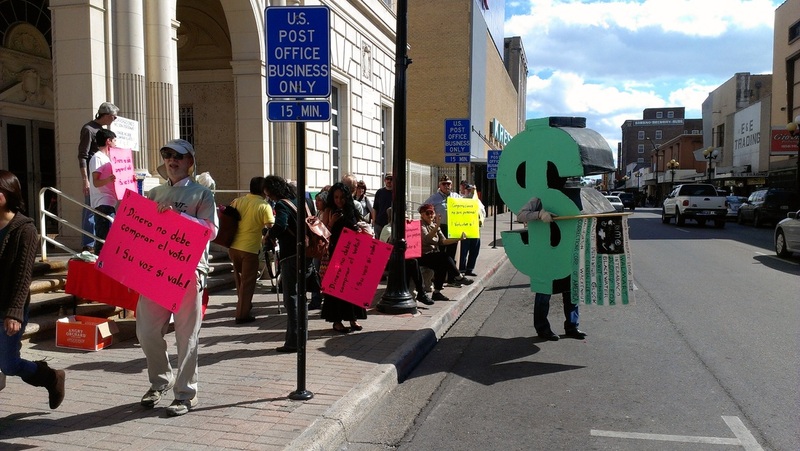 Over 300 people attended the rally, coming from Dallas, Houston, San Antonio and even as far as Wichita Falls! Most remarkable though, were the folks from the gun rally on the other side of the Capitol who joined us. Our ambassadors went over to speak with those folks and invited them over. 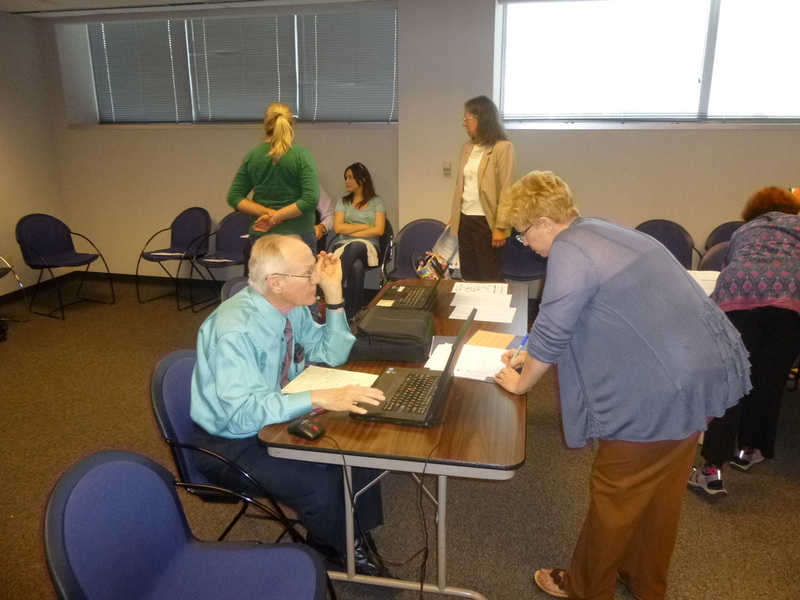 A surprising number did come to listen to our speakers and sign our petition. Now that is outreach! Our First Lobby Day brought more than 40 members from as far as Houston, Dallas and San Antonio. We spent the day speaking with Legislators about the resolutions pending in both the House and Senate, also presenting signatures from our petition. 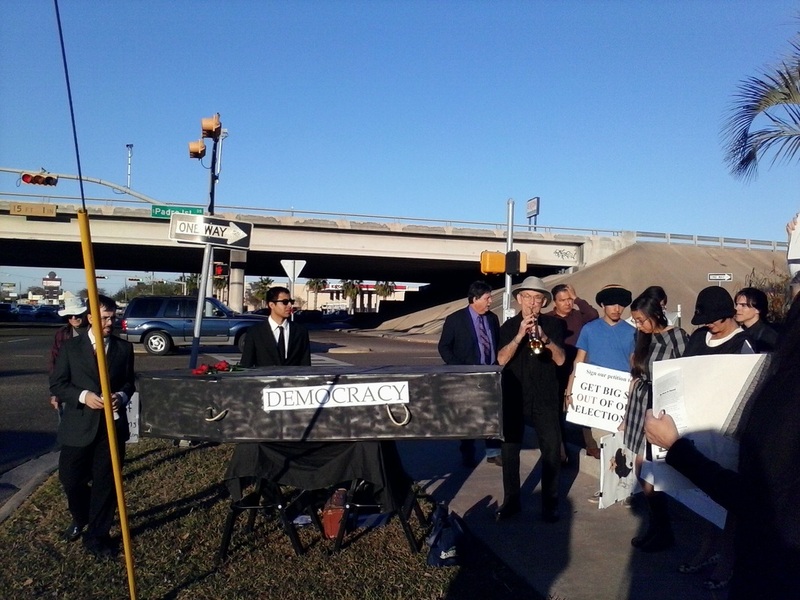 TUTA members in Corpus Christi held a New Orleans style Funeral for Democracy on the anniversary of the Citizens United decision.